Life at the lodges has much akin with the wilderness around and we are welcome to introduce you to diverse characters of our small jungle. Most of our staff is from the nearby villages and have inborn love for the jungles and professional dedication beyond call of duty. We can proudly say that each member of this team resonate our ethos and are self driven to bring sustainable tourism and innovative ideas for a better experience time after time. Following are the key members with whom you are likely to interact with, among many who wait to cover special miles to render a unique wildlife experience. Shukra Kumal hails from Chitwan village, Nepal. A farmer boy who joined the famous wildlife resort tiger tops Chitwan some 30 years as a simple room boy and under the guidance of Dr. Charles Mc Dougal evolved into a world renowned naturalist with specialization in tropical birds. He was part of the expeditions like the ones led by Tim and Inskipp to document birdlife of the Himalayas, which were later published into bird field guides. He joined Pugdundee safaris in 2006 and has been based at Ken River Lodge. 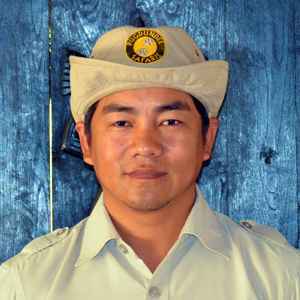 Shukra has been an indispensible part of local wildlife circuit, his enthusiasm, patience and willingness to share his knowledge with fellow colleagues and park guards have made him a local wildlife icon. He was the runner up in Best Naturalist Award category by TOFT in 2012. The world’s most preferred wildlife destination is Gudda’s home. Gudda is from a small village on the fringes of Bandhavgarh national park and grew up with tigers, monkeys and snakes that he refers to as ‘good neighbors’. The ever jolly Gudda is a 9 year old with Pugdundee and have been awarded for his skills and journey by many. He is a great inspiration for his fellow locals in Bandhavgarh. He has guided world renowned photographers and is often featured for his efforts in tiger Conservation. 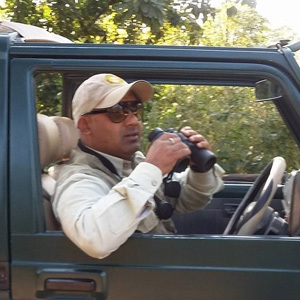 He is based at Kings Lodge, Bandhavgarh since the lodge inception. It's been eight years now that Chinmay has been handling snakes. He has been into conservation and snake rescue which brought him his winning and learning experiences. Giving up a handsome job of IT after graduating in Computers Chinmay is now working towards his dream to be associated with wildlife in every way possible. The great story teller that this man from Nagpur is, his affection towards animals can be felt in his conversations and even in his animal-sensitive humor! Harpreet characterizes unmatchable adrenal for outdoors and extreme love for his job of a naturalist. 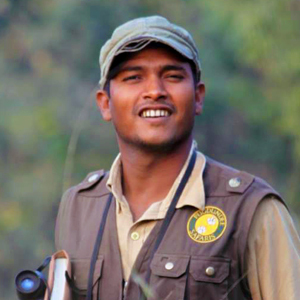 He is five years old with us and has previously worked in Bharatpur, Ranthambhore and Pench National park. Over time he has developed great tracking and photography skills. Everything in nature falls under his area of interest and he loves to share his jungle lore with the guests! The ever jovial Harpreet enjoys wildlife photography and is honing his skills leading the best photographers from around the world. Raju is from Chitwan, Nepal. He belongs to a family of naturalists and before joining Pugdundee two years back he worked for 15 years with Tiger Tops, Nepal. He is an ace tracker and an avid birdwatcher, besides holding a good knowledge about the local flora and fauna of the hills as well as plains. 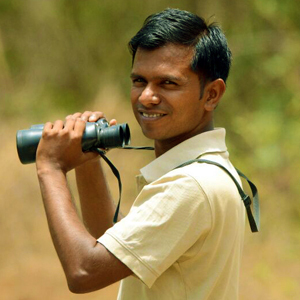 He is currently based at Kings Lodge, Bandhavgarh & has also worked with us in Denwa Backwater Escape, Satpura. 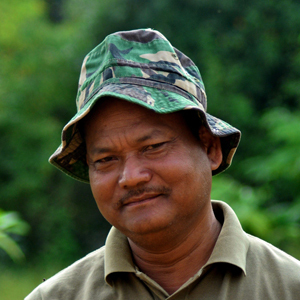 Chaubey ji, as he is fondly known in Bandhavgarh, has been driving in the park for the past 24 years. He believes that he is haunted by tigers and his life exists among them only. He has seen several generations of Bandhavgarh tigers and can easily draw ancestral lines for most of them. He liberally shares his jungle stories and various enchanting encounters to our guests during their stay. The park guides says "Where there are tiger sightings happening Chaubey ji will always be there" Though with not so perfect English he is probably the best camaraderie in the jungles of Bandhavgarh. Harendra Sahu is from a small village in Madhya Pradesh and works as a nature guide. He has immense knowledge of the local flora & fauna and is a joy to be with in the jungles. It didn't take the lodge manager long to discover his passion for nature and the shift from stores to guiding was natural. Having grown up in the jungles of Central India he is at his best when in the wilderness. Growing up so close to the nature in Ramnagar, Nainital , KD realised that he wanted to pursue a career in wildlife from his childhood itself. 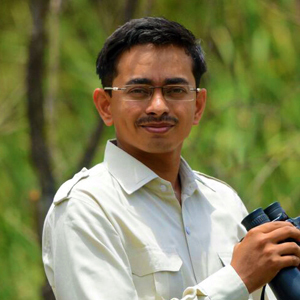 Before joining us at Kanha Earth Lodge, he has worked in Bandhavgarh and Corbett National Park. Apart from the usual Hindi and English, one can even have a chat with him in Kumaoni and Garhwali. 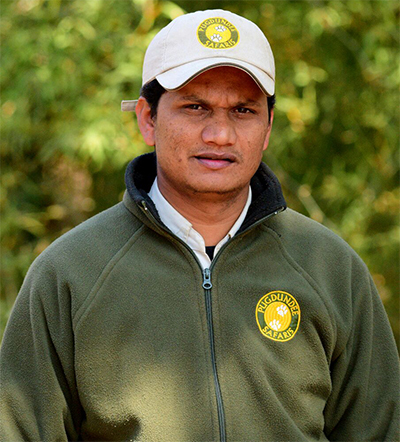 Driven by extreme passion for wildlife, Mohan comes from Uttarakhand and has over 10 years of experience from the jungles of Corbett, Rajaji and Dhudwa. 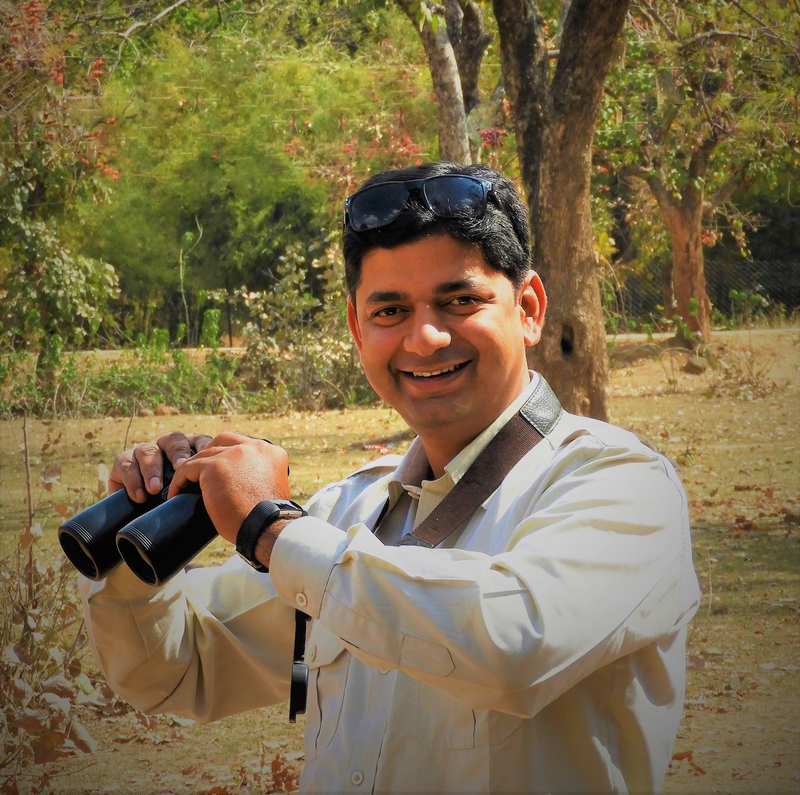 A charming personality and a great observer while in field or at home Mohan also takes the responsibility of training his fellows and enjoys birding at all times. Mohan, who earlier was based out of our Tree House Hideaway- Bandhavgarh, is now based at Denwa Backwater Escape. Gaurav hails from ‘amchi Mumbai’. He left the concrete jungle to follow his passion - wildlife. He is a commerce graduate with a keen interest in wildlife photography. 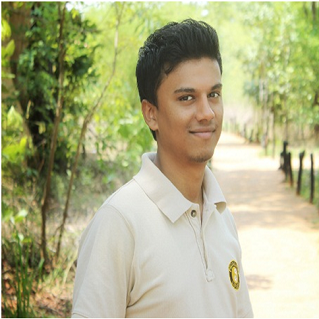 He has worked as a naturalist since past five years and is a new addition in the team. He is a great company on drives and nature walks and can give one excellent tips about wildlife photography. A new addition to the team, Swanand is from Pune. Prior to Pugdundee Safaris, he was the wildlife expert and tour leader and has extensively travelled to various national parks of the country. He is a keen birder and has a passion for wildlife photography too. As per him, he loves to make his photographs look like ‘works of art’. 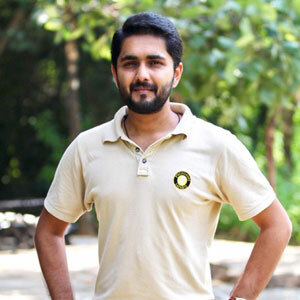 Born and brought up in the pink city – Jaipur, Karan is passionate about wildlife and wildlife photography. 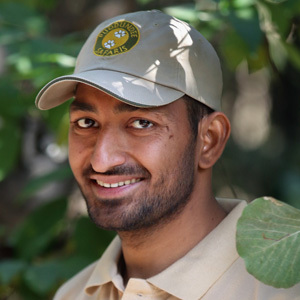 Having worked in Ranthambore and Kanha before, Karan is currently based out of Tree House Hideaway, Bandhavgarh. His area of interest is big cats - tigers in particular but he can passionately talk about habitats, flora and fauna. 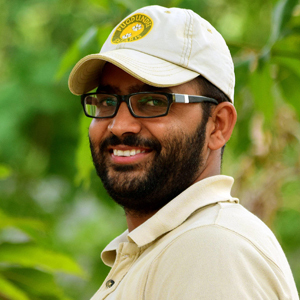 With his love for the ‘tiger country’ and good conversations, Karan is a great company on safaris. 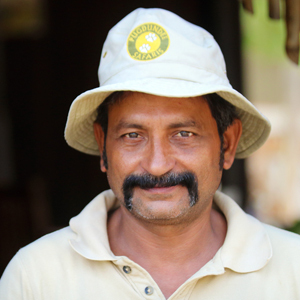 Born and brought up in Mocha village near Kanha National Park itself, Ashu is the nature guide at the lodge. 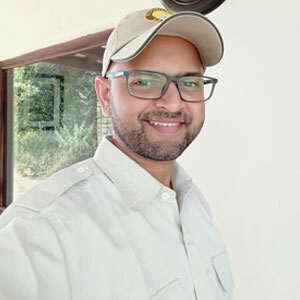 He has grown up lsitening about the ‘tiger stories’ of Kanha and is a great company on game drives due to his tiger tracking skills and knowledge about the local flora and fauna. A graduate in zoology, some of his fondest childhood memories are of watching animal planet and national geographic channels. Gave up living in Mumbai and decided to work in wildlife industry. His special interests are to study mammals, tracks and signs, snakes, behavioural and ecological aspect and wildlife management. He has been involved in some wildlife research projects as well. Sanjay hails from the city of Bangalore. Having spent a considerable period of time in the concrete jungles of the corporate world, his passion for wildlife was sparked while being associated with Worldwide Fund for Nature (WWF), in the Southern jungles of India. His interest for conservation began during his work with the tribals and on the study of big cats in the Western Ghats Nilgiris landscape. 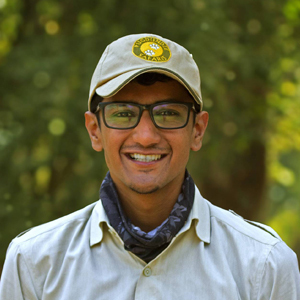 Currently pursuing his Post Graduation in Eco Tourism and Environmental Laws from WWF-India further reflects his keenness to promote sustainable wildlife tourism. He has previously worked with us a Naturalist in Bandhavgarh National Park. His knowledge on conservation and on the big cats makes him a great company to be with in the jungles.